While slots featuring classic renditions of popular movies and games are quite common in the UK online gambling world but seldom has a title managed to strike a chord quite like Lord of the Rings. Imagine immersing yourself in the world of dwarves, elves, wizards, and hobbits. This particular free online game has it all. Microgaming has managed to come up with yet another title of the gaming rendition of a movie series that has been popular amongst the masses since the last two decades. Now a video game slot is making the same waves amongst online gamblers. Lord of the Rings slots is a simple 5 reels and 243 ways to win slot brought by Microgaming. Players start their odyssey in this casino title by placing their bets first wherein the coin size ranges from 0.01, 0.02 to 0.05. You are allowed to play anywhere up to 30 to 600 coins per spin. As this is a progressive slot, players stand a higher chance of winning more with every bet. There are also many magical symbols within the title that have been taken straight out from the movie franchise including Aragon. Gandalf, Frodo, Legolas, and Gimli. Scatters:The ring symbol represents the scatters. The payout for getting 2, 3, 4 and 5 rings anywhere on the reels multiplies a player’s bet by 1, 2, 10 or 100 times. Players can get anywhere between $3000 with every spin if their bet is $30 or more. Free Spins:Getting more than three rings simultaneously on the reels also triggers free spins. One main bonus with the free spins feature is the awarding of wild reels. Gollum:The Gollum is a mischievous little character that can show up anywhere on the reels and create havoc. However, you also benefit from his mischiefs. You can avail all sorts of goodies during your play. Gollum can pull off a reel and provide you with an entire reel of wilds or increase your wins multiplier during the free spins game. Bronze progressive: This starts at a minimum of 10 coins. Silver progressive: This starts at a minimum of 100 coins. Gold progressive: This starts at a minimum of 10,000 coins. Mithril progressive: This starts at a minimum of 1 million coins. 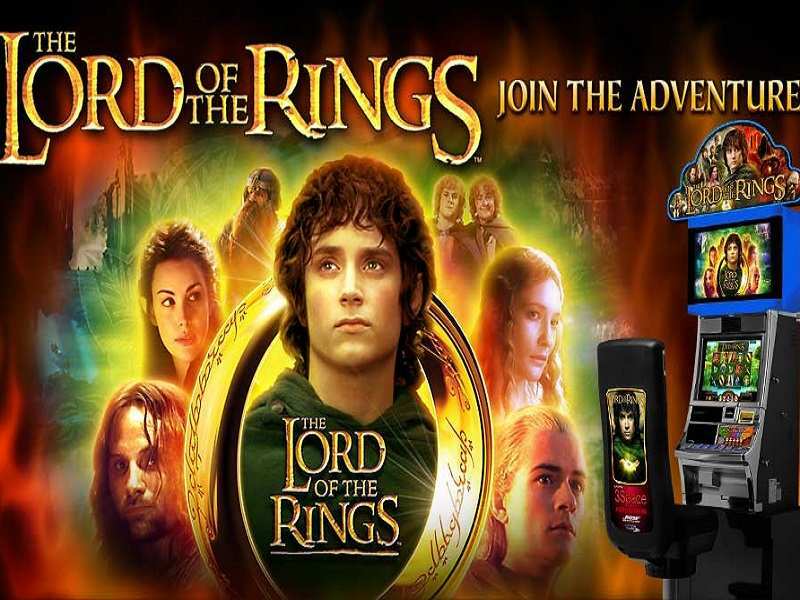 One can now play free Lord of the Rings casino slot machine for fun as well as real money on different online platforms with no download option. There are many websites that provide free credits without any deposit every time a new member signs up with them. Lord of the Ring slots is particularly best popular among pro players due to a huge prospect of winning. 0 responses to "The Lord of the Rings Slot"